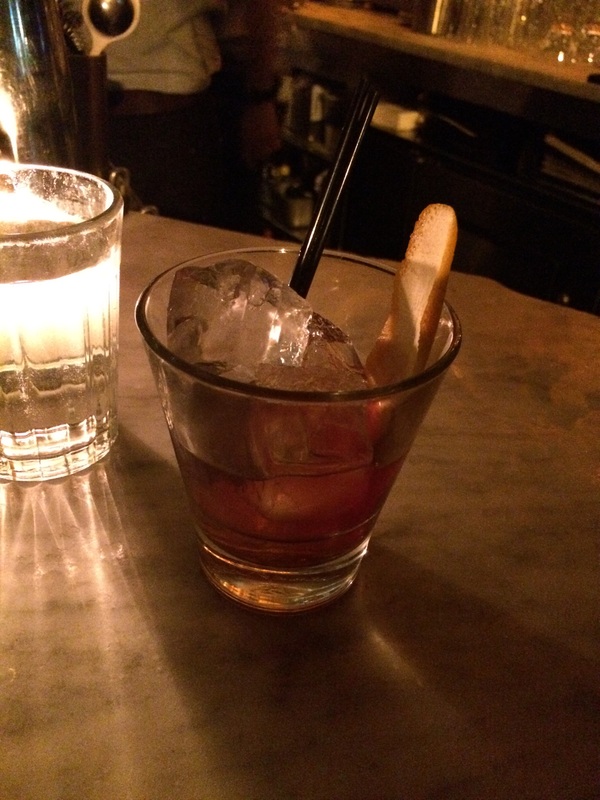 The other night some friends and I went to Dudley’s in the LES for cocktails and it was pretty sensational. I mean, just look at this list! Each drink we had was so delicious that I nearly re-ordered a drink. We chatted a lot with the very nice barman who’s name is Tom Roughton, very fun and very topknot. 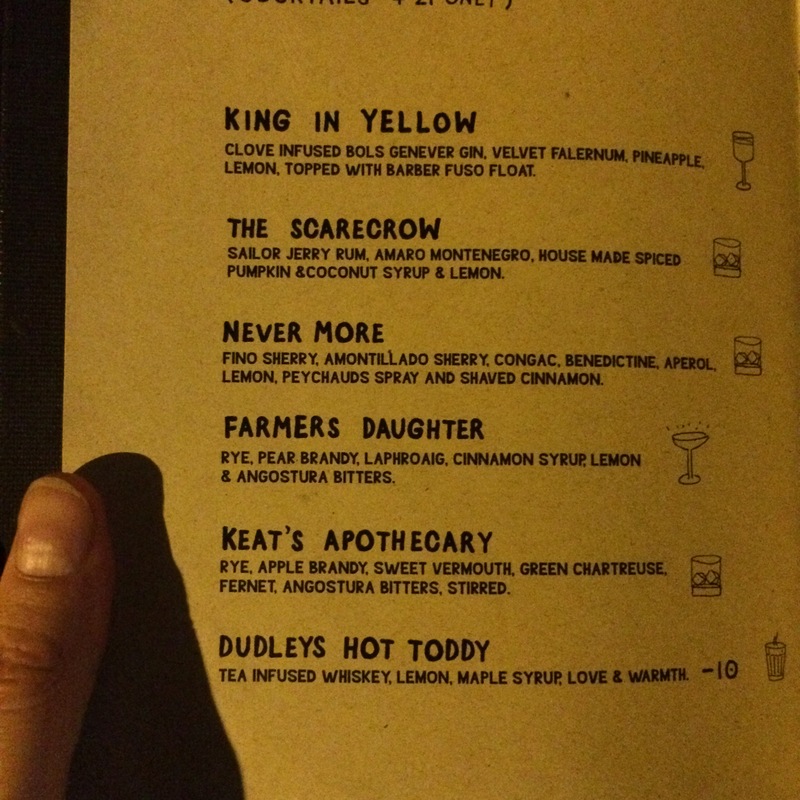 He was kind enough to share two of his recipes from that night’s menu with us: Keat’s Apothecary and the special drink of the night Hail Mary. Combine ingredients in tin over ice and stir. Strain into ice filled rocks glass, express Orange Peel and garnish. Rinse rocks glass with Absinthe and chill. 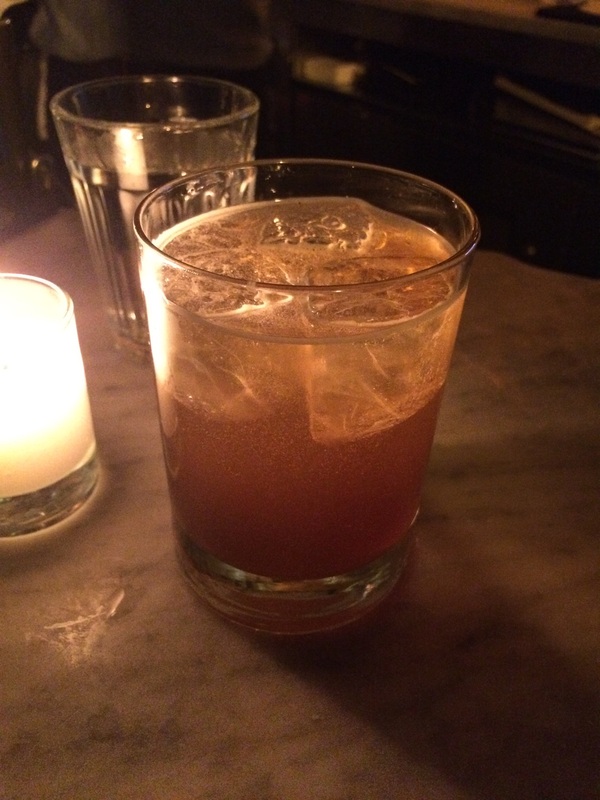 In tin, combine Chartreuse, Averna and Honey syrup over ice and shake. Strain into rinsed glass, add rocks and float cider.